2) What is Wall of me? First of all, we want to welcome you to our service and our newsletter. We will send this newsletter monthly, to inform you of improvements and news from our service. Although you can easily unsubscribe this list, we hope you will keep working, just to being constantly informed about our service. This newsletter will be not invasive and we will not abuse of this tool. Since september, it's possible to follow and unfollow other Walls! Check your links. Sometime you make mistakes inserting links to your social networks. For example, you can forget to fulfill the part after the address (e.g. http://facebook.com/dontforgetyourname). Suggestion: always check your blocks, just clicking on them. So you can correct them it the behaviour is not what you expected. We can work for you. Can't you find your favorite Social network in our supported list? Don't use the "personal website" link to solve the problem; it's better to contact us and ask to support it. We will do it as soon as possible! 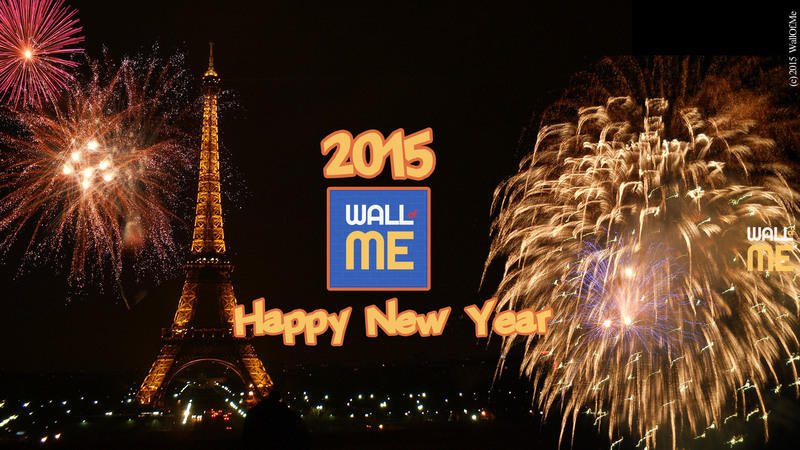 Wall of Me's Staff want to wish you a Wonderful New Year.. Happy 2015! Here is in advance the Image of the Week 01, 2015.